LOUISVILLE, Colo., December 22, 2016 – Inovonics named as a vendor partner in Littleton Public Schools Project award. Submitted by 3xLogic, this project won gold as the “Best Campus Security Project” recognized in this year’s Security Innovation Awards. 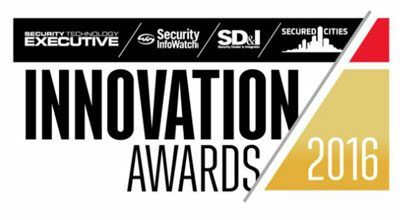 The Security Innovation Awards are open to all vendors, solution providers, integrators, PE firms, consultants and end-users. This coveted accolade recognizes the most impressive collaborative project highlighting the lead vendors, systems integrator (or consultant, or engineer) and the end-user client. In December 2013, Littleton Public Schools (LPS), Littleton, Colorado suffered a fatal shooting at their Arapahoe High School. The shooting caused school officials to expedite their technology update and expansion plans. Today they continue to roll out new cameras, hybrid NVRs, access control, intrusion, and a host of other systems, as they move toward their ambitious goal of creating a district-wide, comprehensive Physical Security Information Management (PSIM) system. Upon completion, the new PSIM system will oversee and coordinate security for approximately 15,000 students and staff at LPS’ 27 school and administrative buildings, spread out over 29 miles. Other major vendor partners in the LPS project included Open Options, Aiphone, and Altronix for access control, while Bosch, Inovonics, and Optex handled intrusion detection. For its vision of designing a comprehensive, integrated security system that organically evolves to minimize obsolescence and grow capabilities over time, along with its ability to create a multi-faceted security system that enables the district to improve overall situational awareness, while taking proactive, layered approach to the mission of student/staff safety, 3xLogic and its integrator and vendor partners, including Inovonics, were awarded this Gold standard of excellence. Inovonics, celebrating 30 years of commercial wireless leadership, provides wireless intrusion and mobile duress devices, senior living and submetering transmitters, signal and control sensors, and add-on, serial and IP receivers for integration into a wide variety of application specific hardware and software solutions. Supporting installations of thousands of devices across entire campuses, the EchoStream® family of high-power repeaters combine to create an intelligent mesh-like network amplifying transmissions from EchoStream transmitters extending the range of wireless coverage in all types of commercial building construction. For more information, visit www.inovonics.com.